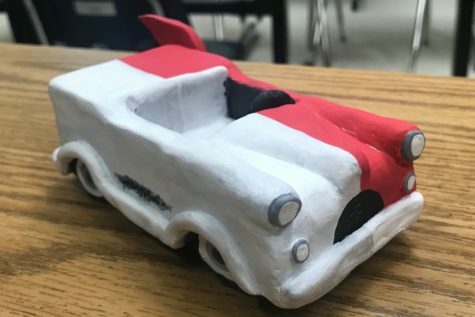 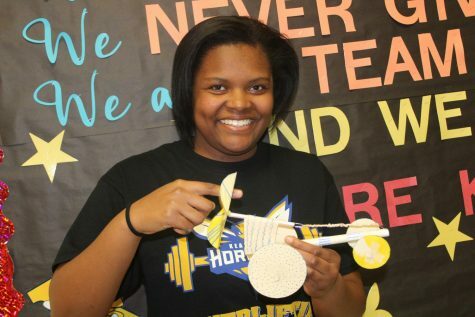 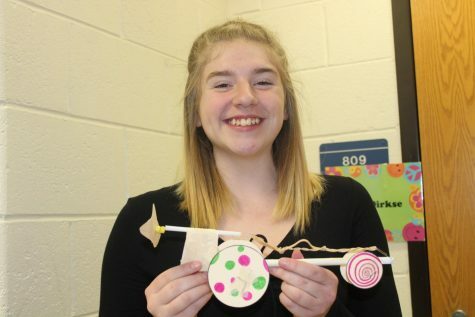 Senior Madison Kreinbrink shows off the car she and her group made in physics class Tuesday, March 19. 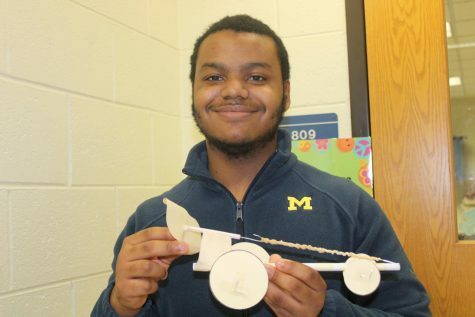 Senior Jamarius Harris uses his knowledge he has learned in physics class to build a car on Tuesday, March 19. 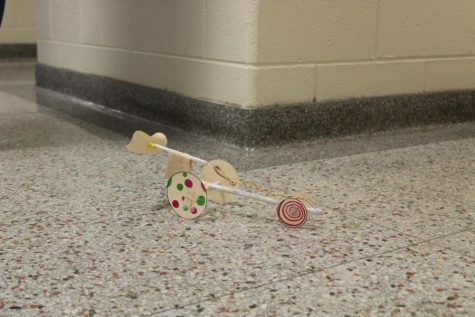 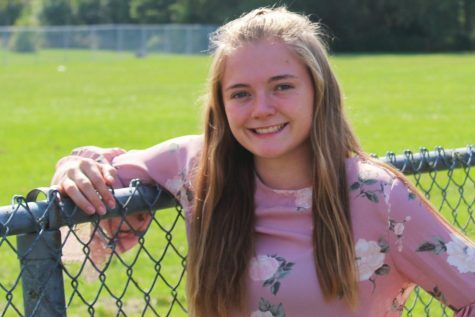 Senior Madison Kreinbrink tests a car she and her group made in physics class on Tuesday, March 19, for a fun project.